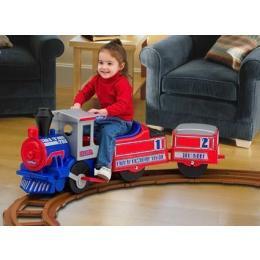 Chintu`s father bought a train toy, Chintu was so busy playing with it through out the day. Next day while chintu playing with his train, few of the Chintus father friends came in to the house Chintu started saying all the idiots and rascals who wants to get down can get the hell out and who wants to get it can come in. His fathers friends felt bad and left the home. chintus father took the toy and kept on the shelf and said i wont return you untill you change your speech. As he said he didnt return, chintu was upset, Knowing this his father gave the toy back. Chintu started playing saying that all the Passengers in the train who wants to get down get lost soon and who wants to get in, hold your things tight and jump in. the train was running with two days delay because of one rascal.